The House and Senate have approved legislation to replace a more than 20% cut in payments for services physicians provide to Medicare patients with a temporary 0.5% pay increase. Once signed into law, the increase will stabilize payments to physicians for a three-month period starting Jan. 1. However, there is much more work to be done. The unpredictability surrounding payment rates beyond March continues to threaten the ability of physicians to care for seniors enrolled in Medicare. Upon reconvening in 2014, the House and Senate must act quickly to continue the same degree of cooperation seen this year for advancing bicameral and bipartisan legislation to repeal the flawed physician payment formula. IF YOU ARE AFFECTED BY THIS, CONTACT SUZANNE BUTLER, JD, AAPMR Manager of Legislative Affairs, contact info below. It has come to the AAPM&R’s attention that in states, including Connecticut, Florida, New Jersey, New York and Rhode Island that Aetna, Humana, UnitedHealthcare, Emblem and other payers have sent mass letters to physicians informing them that they have been dropped from one or more of the companies’ Medicare Advantage (MA) products. As you know, Medicare Advantage (technically “Medicare Part C”) works by providing payments to private insurance companies — either HMOs or similar organizations, or private insurers that work on a fee-for-service model, like traditional Medicare — on behalf of seniors to provide at least the same coverage as Medicare. Roughly a quarter of seniors select the plans, which tend to be more attractive to beneficiaries who agree to being limited to a certain network of providers, or who would benefit from having additional services, such dental, vision, or prescription drugs, covered under their single Medicare insurance plan (it replaces Parts A and B). CMS requires MA plans to have a relatively minimal number of providers (specialties and primary care) in a given mile radius. AAPM&R is gathering intelligence on this issue and is concerned what the impact may be for physiatrists. At this time, we have not heard from members and we are attempting to collect information and are collaborating with a national medical society coalition on strategies. However, we need to have numbers to show the impact so that we can raise awareness in the regions where this is occurring. Access to care is the key issue particularly for individuals with disabilities and dual-eligibles. Payers may be reducing providers to cut costs but will reduce access to services in the process. From what we understand, the letters state that the network terminations are effective in early 2014, after the close of the 2014 open enrollment period. The terminations are “without cause” and physicians are being provided unclear information on how to appeal the decision. It is also unclear what, if any, information has been sent to patients about these network changes. The Connecticut congressional delegation has stepped up pressure on UnitedHealth Group to answer questions regarding the company's decision to eliminate thousands of physicians from its Medicare Advantage program next year (a decision made public only a week before the enrollment period for 2014 began Oct. 15). In a letter dated October 23, 2013 to UnitedHealthcare Medicare & Retirement CEO Jack Larsen, the legislators expressed their concerns on the cuts. Please contact me with your insights – specifically if/how PM&R is being impacted in your state. Any strategies that you have used will be helpful to the Academy. Thank you and I look forward to hearing from you. Our staff is available to assist with drafting correspondence to carriers, sending blast messages and posting information on the Academy’s PhyzForum to help inform our members once we have a better understanding of what, if any, impact there will be for physiatrists and our patients. FSCO the Medicare administrate contractor for jurisdiction J 9 has retracted its previous article titled “Ultrasound Guidance for Needle Placement in the Office Setting”. This retraction was based upon input from your specialty society CAC representatives. Although this article has been retracted there are still some limitations on these services (please click here for attachment). Please also note, that in the 2014 proposed rule for Revisions to Payment Policies under the Physician Fee Schedule, the Centers for Medicare & Medicaid Services (CMS) proposes a reduction in the relative value units (RVUs) based on equipment inputs and procedure time assumptions for Current Procedural Terminology (CPT®) code 76942. UHC Now Denying GONB's as Experimental! 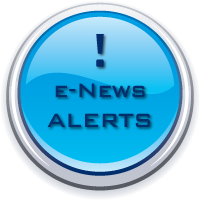 Effective 05/01/13, United Healthcare has posted an updated medical policy to include the following: a) Updated list of applicable CPT codes to remove 64450. b) Updated list of applicable ICD-9 diagnosis codes: Revised code range for migraine; replaced “346.0-346.9” with “346.00-346.93”. c) Updated list of applicable ICD-10 diagnosis codes; added G43.901, G43.909, G43.911 and G43.919. To view this notification and to view the updated policy, click here. Published in the April 2013 Medical Policy Update Bulletin. FSPMR ALERT Draft LCD Changes! Dear Colleagues as FSPM&R’s CAC representative I have requested the following changes to the two new draft LCD’s attached below! Please consider send a letter of your own (ASAP) requesting these changes by the end of day 7/25/13!!. Here is the link to send your comments to medical.policy@fcso.com. 2) Page 4: bullet point #1 under Indications should read: “Alternative laboratory or clinical tests to definitively diagnose a genetic disorder or identify a genetic allele variant (mutation, deletion, duplication) are unavailable or results are clearly equivocal; and”. Bullet point 5 should read: “For testing panels, including but not limited to, multiple genes or multiple conditions, and in cases where a tiered approach/method is clinically available, testing would be covered ONLY for the number of genes or tests that are reasonable and necessary to establish a diagnosis or to identify allele variants that may effectively guide or alter medical and/or pharmacologic treatment regimens. AND”. 1) Page 2: Examples of problems that might require psychological testing include: Keep numbers 1,2&3 as is, add 4. Assessment of mental function in a patient recommend for an implantable pain control device. And 5. Assessment of mental function in a chronic pain patient with suspected somatization disorder. 2) Page 3: The paragraph beginning with “Neuropsychological testing is a sub classification of” can we add the Wisconsin Card Sorting Test or “WCST” to list of tests given as examples? This test is actually listed within the CPT descriptor. 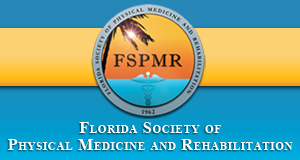 FSPM&R is requesting the following changes to the Psychological & Neuropsychological Tests LCD! Thank you for the consideration. Senator Latvala is looking to exclude COLA as a POL accrediting body. He seeks to create a monopoly for the College of American Pathologists (CAP), since this will be the ONLY accrediting body for urine quantitative toxicology testing. Please call and send a letter today. Feel free to use my sample letter below. Thank you! We have recently been made aware of your Senate Amendment 659334 to SB 966 giving the College of American Pathology (CAP) exclusive authority to accredit physician laboratories “performing quantitative drug testing”. Presently all “highly complex” physician office labs (POL) doing this type of testing are accredited with the Commission on Office Laboratory Accreditation (COLA). This needless amendment is nothing more than a costly administrative burden being placed upon physician small businessmen and provides yet another barrier to entry into this market for physicians! Why? Because large clinical reference laboratories are interested in protecting their own businesses to the detriment of small businessmen. If your amendment is enacted the State is once again encroaching upon a POL’s right to hire the accrediting body it chooses. This provides a monopoly for CAP! I have been a lifelong Republican and I am shocked and appalled that Republicans in the Florida Senate continue to place additional unnecessary burdens upon hard working small businessmen. On behalf of Drs. Marc Hirsh, Brett Hutton, Alain Alvarez and myself, I am writing to inform you of our most recent interaction with our local Medicare Carrier, FCSO. You were so gracious to support us the first time, but the challenge continues and is threatening to impact all Florida providers. To give you a brief history, in November 2012, two of our three physicians were placed on prepayment review for code 76942. Our first submission of medical records containing 76942 were all approved for medical necessity but were denied for “interpretation.” As you know, there is no template for interpretation with 76942 except to provide a documented description of the localization process. After several months of discussion with FCSO’s nurse reviewers and submitting detailed documentation including the type of equipment used, our national accreditation, our providers’ ultrasound CME certificates and a thorough explanation of Power Doppler, our claims were recoded to an unspecified code, 76999. We were told Dr. James Corcoran, FCSO Medical Director, personally reviewed our patients’ medical records. In summary: It was determined by FCSO that 76942 was not the appropriate code to describe ultrasound needle guidance with a portable ultrasound machine and our claims will be recoded to an unspecified code. The medical director does not agree with the AMA’s practice expense multiplier of 6.455 and decided to recode our claims. This unspecified code will reimburse $25, a 90% reduction from code 76942. To read the rest of this letter written by Dr Jeffrey Zipper, please see the attached. 1) Analysis of Congressman Fasano’s new bill HB 831, pain bill revisions. 2) Work Comp Repackaging Bill Raises its Ugly Head again this Legislative Session. 3) Analysis of Senator Galvano’s “Doctor of Nursing” bill SB 612 (Galvano).